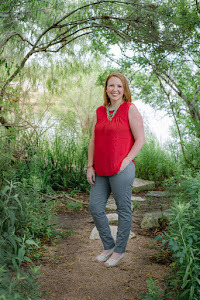 First of all, I have loved reading your Christmas ideas you left on my blog from Saturday as well as the comments on my Facebook page. Did you know So.Many.Words. blog has a brand spankin' new Facebook page? It's true! Click here. Go there. Like it. We have a good time over there. I definitely think it would be fun to get Ellie her own little tiny Christmas tree to put a little plastic ornament on every night. Perhaps it will satisfy her need to destroy our beautiful Christmas tree in the living room. Now, let's get to the root of this post. Today I'm going to be talking about things I've seen on Pinterest that will totally, absolutely, 100% never ever happen. Ever. Let's begin, shall we? 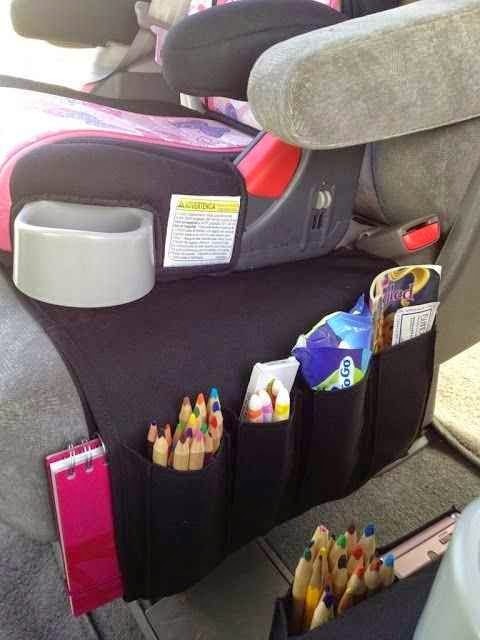 I saw this lovely photo about car organization. You can find the link about it here. Here's the thing. I genuinely like the idea. I am always looking for ways to organize my car. But y'all, that whole set up would last about 17 seconds. She would pull out every single thing, hold it in her lap, then throw it on the floor and it would roll under the front seat, never to be found again. There's no way that she would be like "Oh, I shall put this pack of Kleenex back in the Kleenex spot!" Please. She would immediately open the package, pretend to fake blow her nose with every single tissue and then hand them to me individually while I'm driving and they would end up in my cup holder, all wadded up. The Braids. OH THE PINTEREST BRAIDS. Look! Here's a hair style you can achieve in 10 Easy Steps that you have neither the time nor talent for! I mean it's beautiful but hair styling is just not where my spiritual gifts lie. Not even in the slightest. This past July, we had a Bubble Guppies birthday party in our home for Ellie's 2nd birthday. 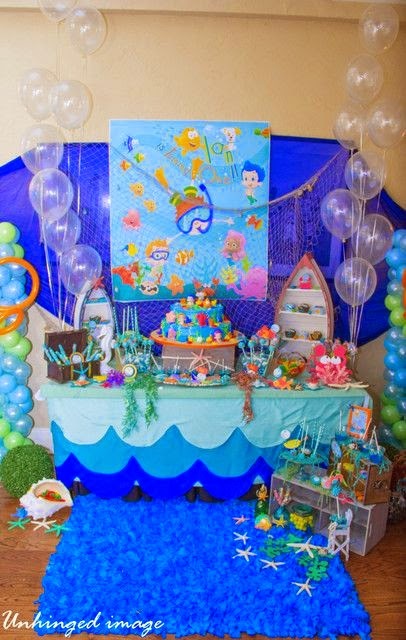 I, of course, looked on Pinterest for Bubble Guppies party ideas. Um, y'all. THIS IS A LITTLE BIT MORE THAN I AM WILLING TO TAKE ON. Just looking at that gives me anxiety. CALM DOWN, LADIES. IT'S A TODDLER, NOT A KARDASHIAN WEDDING. 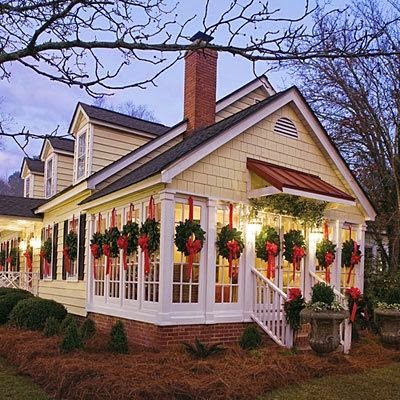 I really, really enjoy Christmas decor. It makes me happy. My mom's house is always especially magical at Christmas time, and I'd love to slowly, over time, create that same environment for our kids. 1. All that greenery would make me sneeze. 2. Oh, I'm just going to sit down by the fire and wrap this ukelele in no box with plain white paper and twine. 3. Look at the perfection handwriting and spacing of the naughty and nice list over the fire place. And those names.....Oh, Weller and Louise. They are always so naughty. I realize for some of you this stuff is quite doable and fun and exciting but this is all just a bit too much for me. c) I bought 3 pumpkins for my porch this year and someone stole 2 of them so I'm not really going to trust people to not take this 47 Christmas wreaths. d) WHO HAS THAT MANY WINDOWS?! Okay. I think I'm done now. I just needed to do some Pinterest venting. Proceed with your day.